Director David Blyth has turned Bruno Lawrence green, made vampires fly and exposed the dark underside of Kiwi suburbia. The cult director of Angel Mine and Death Warmed Up began revealing his outrageous visions long before Peter Jackson first landed. This Spotlight collection of excerpts and trailers offers a taster of his twisted works: from the award-winning splatter of Death Warmed Up to the family friendly Moonrise (aka Grampire), to 2013's Ghost Bride. Director David Blyth — the man behind Death Warmed Up, New Zealand’s first horror movie — enters the supernatural with his sixth dramatic feature. Newcomer Yoson An plays a Chinese immigrant whose mother has no idea that he has a Kiwi girlfriend. Insistent on an arranged marriage, she takes him to matchmaker Madam Yin (Geeling Ng), whose idea of the perfect bride sees Jason caught up in the ancient Chinese practise of minghūn: a spirit marriage. After premiering at Auckland's 2013 Asia Pacific Film Festival, Ghost Bride was seen extensively across Asia. "I like to pull rabbits out of hats to surprise people". So said young director David Blyth, before unleashing Angel Mine. 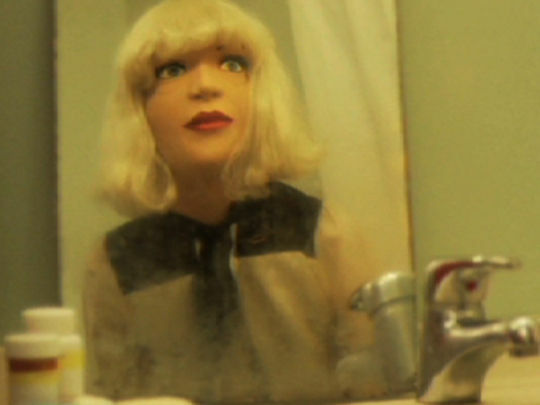 Inspired partly by the surrealism of Luis Buñuel, Blyth's inventive debut is one of a handful of Kiwi experimental feature films to win mainstream release. Featuring a whitebread suburban couple and their liberated alter egos, the film explores ideas of consumerism, sexuality, the media, and taboo-breaking. The film excited criticism from Patricia Bartlett, and a notorious addition to its R18 certificate: "contains punk cult material." 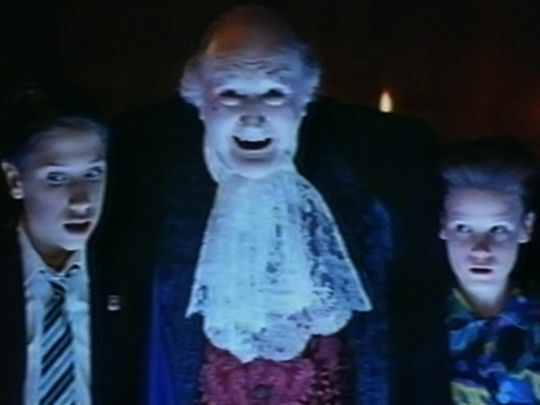 Pre-dating Peter Jackson's arrival (Bad Taste) by three years, New Zealand's first horror movie sees Michael Hurst making his movie debut as he fights mutants (including Bruno Lawrence) on Waiheke Island. Hurst's character is out to avenge the mad scientist who forced him to kill his parents. A grand prize-winner at a French fantasy festival (with cult director Alejandro Jodorowsky on the jury), David Blyth's splatterfest marked the first of many horrors funded by the NZ Film Commission. It was also the first local showcase of the smoothly-flowing Steadicam camera. While visiting family down under, American teen Lonny catches up with his grandfather, a man with an infectious giggle, a thirst for adventure — and two vampire-sized incisors. Released locally as Grampire, this family-friendly adventure combines local names (among them future Pluto singer Milan Borich) with a winning turn as nice guy vampire by American Al Lewis (cult series The Munsters). Director David Blyth was won over by Michael Heath’s script because it reversed convention, and “was a plea for children to be allowed to keep and develop their imaginations”. David Blyth's first film, 1976’s Circadian Rhythms, was an attempt to "slip past the conscious mind", and inside the head of a car crash victim. Blyth’s latest movie explores the world of another victim - this time a young woman (Kate O'Rourke) engaging in submission games with an unexplained male, who is haunted by her dark family history, and someone claiming to be her daughter. Fellow cinema provocateur Ken Russell (The Devils) praised Blyth’s "gorgeous images and repulsive dream-surgery into the recesses of female consciousness". Director David Blyth has created some of New Zealand’s most graphic and challenging movies dealing with horror, sexuality, and the sub-conscious mind. His career began as an assistant director on the film Solo, but it was his first feature Angel Mine which showed his interests in pushing the boundaries of filmmaking. 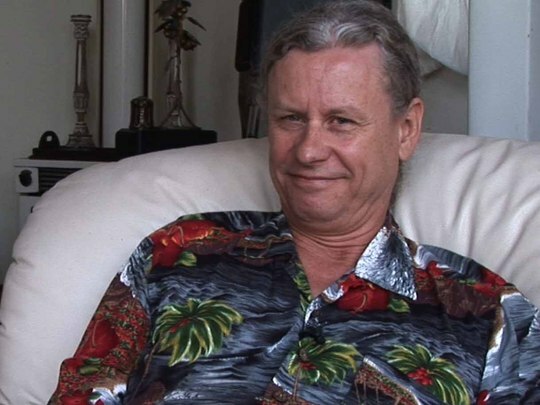 In his time, Blyth has made a number of documentary features, directed episodes of Close to Home and created New Zealand's first horror film Death Warmed Up.